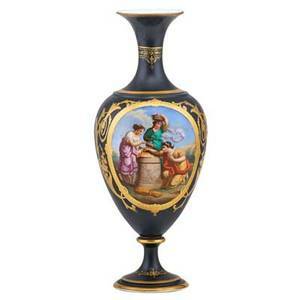 Paris porcelain vase; hand-painted reserve on ebonized ground with gilt highlights, 19th c.; 20"
Archived auctions similar to Paris porcelain vase; hand-painted reserve on ebonized ground with gilt highlights, 19th c.; 20"
Pair of french opaline glass vases; hand-painted floral sprays on rose ground with gilt trim, 19th c.; 16"
Royal vienna porcelain urn; reserves on cobalt ground with gilt highlights on cobalt ground, ca. 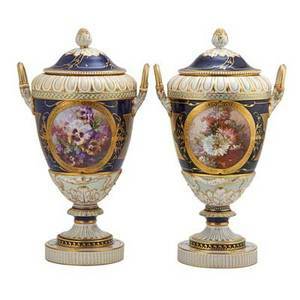 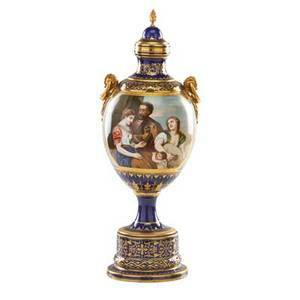 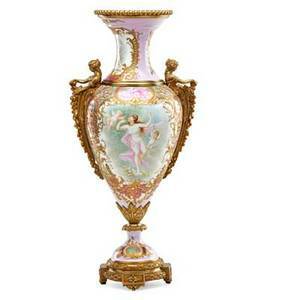 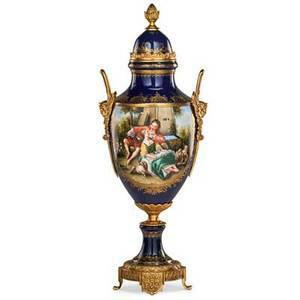 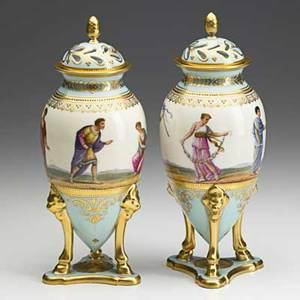 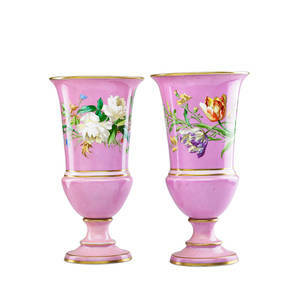 1900; beehive mark; 20"
Dresden porcelain urn; hand-painted reserve on cobalt ground with gilt bronze mounted handles and base, 20th c.; reserve signed landler; 26"
Pair of kpm porcelain urns; hand-painted with genre scenes in reserves on cobalt ground with gilded trim, 19th c.; stamped kpm; 20"
Set of limoges porcelain plates; twelve: transfer decorated genre scenes with gilt highlights, 20th c.; marked limoges, france; 10 5/8" dia. 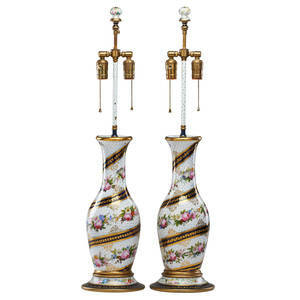 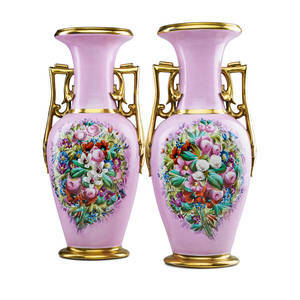 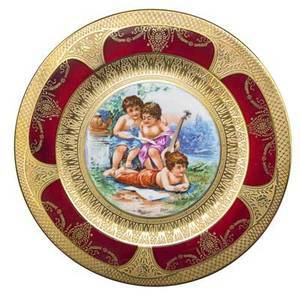 Style of royal vienna; pair of porcelain vases depicting figures in roman garb with gilt decoration, 19th c.; shield mark; 9 1/4"
Kirman palace rug; laver red, pink, and brown floral and medallion design on cream ground with blue accents, 19th c.; 264" x 149"
Pair of paris porcelain vases; hand-painted floral cornucopias on rose ground with gilt handles and trim, 19th c.; 20"
Sevres bronze mounted porcelain urn; mythological motifs on pink ground, gilt highlights, 19th c.; marked; 24"